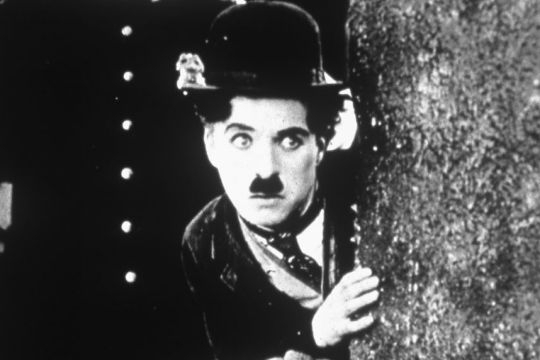 Watch over 100 free silent films. Including some of the most important films ever made. Watch films by Luis Buñuel and Salvador Dali, Charlie Chaplin, Dziga Vertov, D.W. Griffith, Alfred Hitchcock, Sergei Eisenstein, Fritz Lang, F.W. Murnau and many more. For more great films, please visit our complete collection of Free Movies Online. Abraham Lincoln - Free - D.W. Griffith’s biography of the beloved United States president. A Christmas Carol - Free - Marc McDermott stars as Ebenezer Scrooge in this 1910 version of Dickens’ classic ghost story. After the Ball – Free - One of the first “adult” films in cinema history. By the pioneering director Georges Méliès. Das Wandernde Bild - Free - A silent, black and white film directed by Fritz Lang released in 1920. Laughing Gas - Free - Film starring Chaplin is sometimes known as ”Busy Little Dentist”, “Down and Out”, “Laffing Gas”, “The Dentist”, and “Tuning His Ivories”. The Manxman – Free – This was Hitchcock’s last silent film. The Pleasure Garden - Free - After several collaborative efforts, Hitchcock made his solo directorial debut in the German-British co-production based on a novel by Oliver Sandys. The Sealed Room – Free – Directed by DW Griffith, the film is based on based upon Edgar Allan Poe’s “A Cask of Amontillado”, with appearances by Mary Pickford and Mack Sennett. The Toll of the Sea – Free - The first general release film in technicolor. 1922. For a full lineup of great movies, please visit our complete collection of Free Movies Online.